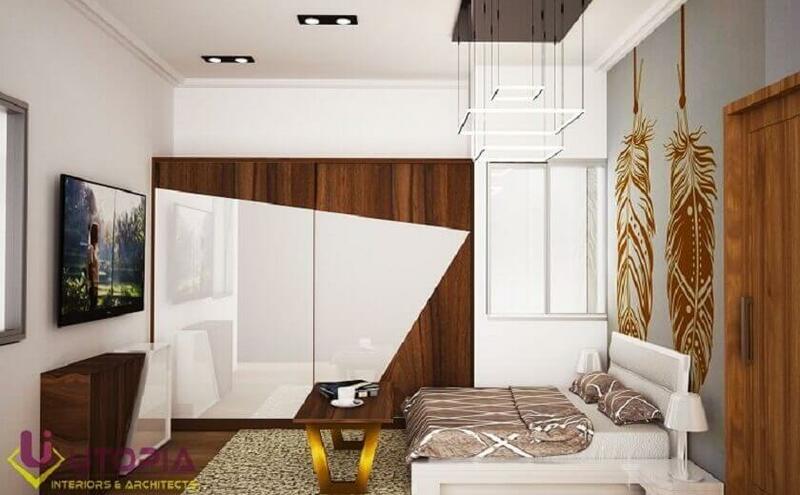 Interiors for Mr. Venketesh in Whitefield. Catch a glimpse of our completed interior project in Whitefield, which handed over to Mr. Venketesh up to his satisfaction located in Whitefield Bangalore. Completed Interior project for Mr.Venketesh in Whitefield Bangalore. We at Utopia Interiors, one of the best Interior designers in Whitefield provides complete interior services for your dream home. When Mr. Venketesh give us the responsibility to design interiors for his flat located in Whitefield Bangalore, At designing Phase our experienced designers engage with client by involving him fully into the conceptualizing process and make sure that we not only fulfill his Interior requirements but also his interior should reflects his lifestyle and persona. We at utopia always provides impressive layout that is not just functional but also has a comfortable and captivating appeal . Our Execution Teams closely monitors the work and completes the project as per approved plan with a great finish which makes ours clients happy and satisfied. Completed Interior project for Mr.Venketesh in Whitefield.